When I was in Saigon I made a tutorial video showing how to cross a busy street in Vietnam. I speak Swedish in the video but to sum it up “If you stop walking you will get hit”. The key to crossing a busy street in Vietnam or anywhere in Asia is to just keep walking in a slow but steady pace. Drivers will see you and swerve around you. This entry was posted in Vietnam on 2011/10/18 by Trailsurfer. If you want to cycle Cambodia, Laos, Vietnam, Thailand, Malaysia, Indonesia, India and Nepal and need information then this blog has most of the info you will need. Happy cycling! This entry was posted in Cambodia, Indonesia, Malaysia, Thailand, Vietnam on 2011/10/16 by Trailsurfer. Snake eating is a new bizarre attraction drawing adventurous backpackers to the village of Le Mat in Vietnam. The village is also known as Snake Village. Restaurants keep live reptiles on site ready to be prepared for hungry patrons. On the menu are potent snake blood cocktails, bile vodka shots and you can even sample a still-beating snake heart (see video below). This entry was posted in Vietnam on 2011/10/14 by Trailsurfer. When it comes to travelling long haul, the best value can be found in Sri Lanka, according to the UK Post Office Long haul report. When looking at a typical ‘basket’ of 10 items, including a bottle of water, a beer, suncream, insect repellant postcards and a three-course meal for two with wine, Sri Lanka came out as the best-value destination for the second year in a row. 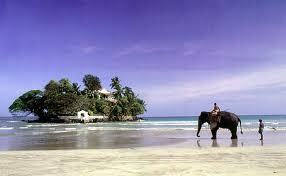 Thailand followed, with a drop in local prices balancing out the weak sterling exchange rate, with Vietnam close behind. Prices are down by a third on the Indian Ocean island, making it an ideal destination for budget-conscious travellers seeking winter sun. The drop in prices makes Sri Lanka 38 per cent cheaper than Thailand, its nearest rival on the list of affordable long haul holiday spots. The travel report by the Post Office found prices have fallen in over two-thirds of popular destinations, with a 27 per cent drop in South Africa after the World Cup-related boom. This entry was posted in Sri Lanka, Thailand, Vietnam on 2011/10/01 by Trailsurfer. a journey through asia from ivan vania on Vimeo. This entry was posted in Laos, Malaysia, Thailand, Video, Vietnam on 2011/05/07 by Trailsurfer. 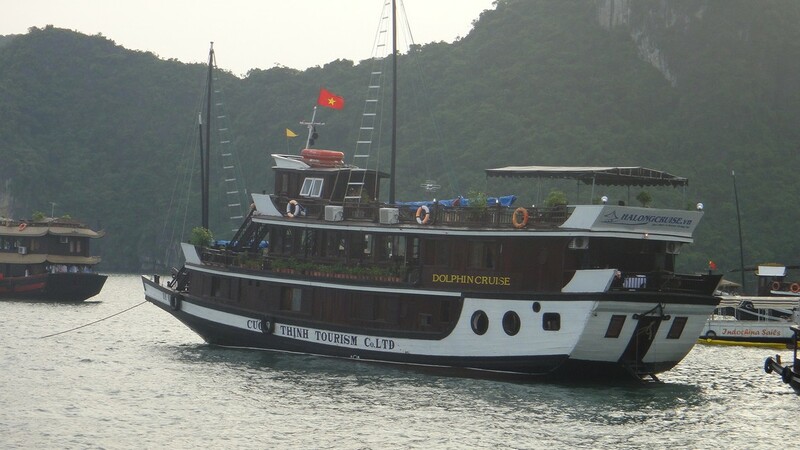 On Thursday night a cruise ship (QN 5198 Truong Hai) overturned near Ti Top Island in Halong Bay, Vietnam due to engine problems that caused the boat to gain water. According to witnesses the boat was submerged after only one minute. Most Tourists were already in their beds sleeping when the accident occurred. Among the victims were two Swedish women in their 20s. Other victims include tourists from UK, France, Russia and Denmark. A local government official says initial information suggests part of the boat broke without warning. “So far the rescue team has rescued 15 people, including nine foreign tourists and six crew, and pulled out 12 bodies,” Ngo Van Hung, director of the Halong Bay Management Department, told Reuters by telephone. The owners of the cruise ship Truong Hai is set to face legal charges according to Police authorities. Halong Bay is a very popular tourist destination luring over 2 million each year. The boats sail off into the sunset and Tourists think the standard of safety at home applies also in Vietnam. This accident proves once again that this is not the case. In September 2009 three foreign tourists – two from Britain and one from France – died along with their local guide when their vessel overturned during heavy rain on the bay. In 2006, a powerful wind storm on the bay capsized several boats, killing 13 people. No tourists were among the dead. 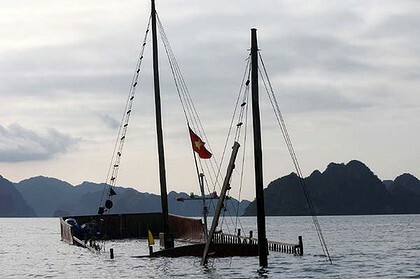 In 2002, strong winds capsized two tourist boats, killing several foreigners. There has also been a numerous incidents resulting in Tourists being injured and taken to hospital. Trailsurfers visited Halong Bay in 2010 and you can read our review here. See video from Reuters about the incident here. This entry was posted in Vietnam on 2011/02/17 by Trailsurfer. Vietnam is trying very hard to establish themselves as the number one competitor to Thailand. 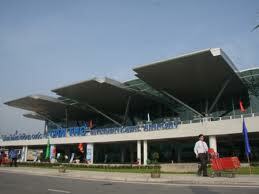 One of the latest moves to ensure this development is the opening of a new airport in the Mekong delta. Can Tho International is sited on more than 20,000 square metres of land, it cost a wopping $150m to build and will handle as many as five million passengers every 12 months. Six routes are presently being flown (Hanoi, Ho Chi Minh City, Phu Quoc) and, while a couple of these will end over the next few weeks, four more are scheduled to be added. This entry was posted in Vietnam on 2011/02/14 by Trailsurfer.